Dr. Piet Kommers is an early pioneer in media for cognitive- and social support. His doctoral research explored methods for hypertext and concept mapping in learning. Since 1982 he developed educational technology for teacher training. His main thesis is that technology is catalytic for human ambition and awareness. His main function is associate professor in the University in Twente, The Netherlands and adjunct/visiting professor in various countries. He taught more than fifteen bachelor, master and PhD courses and supervised more than 30 PhD students. He instigated and coordinated the NATO Advanced Research Workshop on Cognitive Technologies in 1990 and a large series of Joint European Research Projects in: authoring multimedia, web-based learning, teacher education, virtual 3d worlds, constructivist learning, social media, web-based communities and international student exchange. The books and journal articles of Dr. Kommers reach the level of 5012 citations and the h-index of 30. He was recently nominated by seventeen countries for the prestigious 2017 UNESCO King Hamad Bin Isa Al-Khalifa Prize for the Use of Information and Communication Technologies (ICTs) in Education. UNESCO awarded his work in ICT for Education in Eastern Europe with the title of Honorary Professor. The Capital Normal University in Beijing awarded his work with the title of Honorary Doctor. He is member of advisory boards in ministries of education and academia of sciences in Singapore, Finland and Russia. 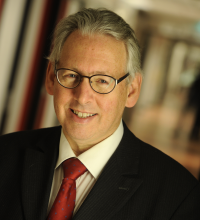 Piet Kommers is the initiator of the international journal for web-based communities and overall chair of the IADIS conferences on societal applications of ICT. Since the late nineties he gave more than 40 invited and keynote lectures at main conferences in the fields of education, and communication. His books and journal articles address the social and intellectual transformations at each transition from “traditional” into the “new” media. Instead of regarding media as extrapolating, supplanting, vicarious or even disruptive, Piet’s view is that new media elicit and seduce both individuals and organizations to reconsider human nature and challenge existential awareness at that very moment. His workshop templates and experiences have been implemented into the UNESCO IITE reports, policy briefings and Master Course. Speech Title:“Healthy Context Paradox in the Association Between Peer Victimization and Children’s Adjustment and Implications for Intervention”. Dr. Wenxin Zhang is a Professor of Psychology at Shandong Normal University in Jinan, China. He received his doctorate from Beijing Normal University. Dr. Zhang’s research interests include developmental trajectories of aggression and problem behaviors; peer process in adolescent development; and adolescent development and family relationships. He is well known for his work on bullying and bullying intervention, having several works in this area. 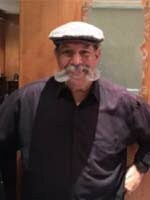 He teaches classes in the areas of school bullying and intervention, child and adolescent development, and developmental behavioral genetics. 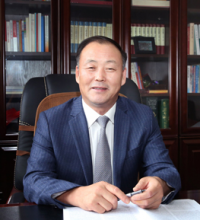 He took charge of one major commissioned project of the research of the philosophy and social sciences of the Ministry of Education, 4 projects of National Natural Science Foundation, 9 scientific research projects at provincial and ministerial level and 2 international cooperation projects. He published more than 150 papers in the academic journals at home and abroad, among them, there are 9 journals in SSCI (Q1), 30 in the Journal of psychology, and 7 for publishing academic monographs. The monograph “social development of children” is ranked third in the national CSSCI (2000-2007) citation of psychological papers. Datin Paduka Ir. Dr. Siti Hamisah Tapsir is currently the Director General at the Department of Higher Education, Ministry of Higher Education Malaysia. She was deeply involved in the development of the Malaysia Education Blueprint 2015-2025 (Higher Education) and currently tasked to implement the initiatives outlined in the Blueprint for the public and private higher education institutions. She played the primary role in the establishment of a rating system for private colleges and the liberalization of private higher education. She also contributed significantly in the formation of several foreign university branch campuses in Malaysia and the enhancement of the public universities’ policies and governance. Prior to her position at the Ministry, Datin Paduka Ir. Dr. Siti Hamisah was the Deputy Vice Chancellor of Universiti Teknologi Malaysia. Hamisah is looking into “Education 4.0”, which assesses how the 4th Industrial Revolution will impact and change the higher education ecosystem. At the professional level, she is a Board Member of Malaysia Board of Technologists and a registered engineer under Board of Engineers Malaysia. Datin Paduka Ir. Dr. Siti Hamisah received an Honorary Doctorate (Doctor of Science) from the University of Southampton in 2016 for her outstanding contributions in the engineering field. She has received numerous education accolades including the Asia HRD Awards 2017 for her contribution to the Malaysian Society by advancing higher education and the Honorary Fellow of ASEAN Federation of Engineering Organisations (AFEO) in 2017 for her expertise and experience in advancing the growth of engineering in the ASEAN region. 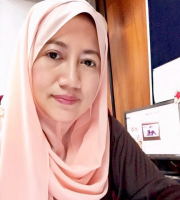 Dr. Mariam Mohamad is the Deputy Director (Postgraduate Studies, Network and Alumni) in Centre for Instructional Technology & Multimedia, Universiti Sains Malaysia, Malaysia. She received her higher education from international institutions; Takuma College of Technology, Japan for her undergraduate degree and University of Southampton, United Kingdom for her post graduate degrees. 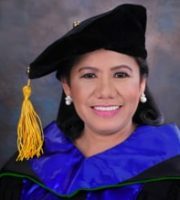 In 2012, she received her Ph.D. in Mobile Learning at the University Of Southampton, United Kingdom sponsored by Ministry of Higher Education, Malaysia and Universiti Sains Malaysia. Dr. Mariam was acknowledged as one of the pioneers from Malaysia in mobile learning research, in the book entitled Mobile Learning in Higher Education in the Asia-Pacific Region published by Springer. Her work also referred by UNESCO in the publication entitled; Turning on Mobile Learning: Illustrative Initiatives and Policy Implications. She has shown her capability in her area as invited speakers. She was invited by UNESCO to present her work in Mobile Learning Week 2014 at UNESCO headquarters in Paris. Recently, she was invited as the speaker at 2nd International Conference on Education and Multimedia Technology (ICEMT 2018) in Okinawa, Japan and also at The 5th International Mobile Learning Festival (IMLF2018), Singapore. Locally, she also contributed as invited speakers in: (i) Mobile Learning Association Symposium in 2014, (ii) Seminar by Dyslexia Association Malaysia in 2015, (iii) Seminar by Center of Instructional Technology and Multimedia, USM in 2017. As one of the renowned researchers in mobile learning in Malaysia, she was elected as an exco member for Mobile Learning Association Malaysia. For her success in the field, in 2016 Universiti Sains Malaysia awarded her with a funding to attend a training organized by Assistive Technology Australia to support her research in mobile assistive technology. In 2017, she was granted the Sabbatical Leave by Universiti Sains Malaysia to pursue her post-doctoral research in mobile assistive technology internationally. Dr. Mariam has extensive experience in disseminating her work internationally; with over 40 publication and presentations. She actively involves presenting her work in international conferences with ISI Web of Science and SCOPUS indexed status. Since working with Universiti Sains Malaysia in 2013, she has completed three research projects in her field. One of her studies which is “Using tactile letters as an assistive technology in teaching alphabet for Dyslexic children”, has received the gold medal in an innovation competition known as iCompEx 2016. Her most recent project is exploring the use of mobile health application for the visual impaired individual known as Sejahtera Lestari has received bronze medal in the 4th International Innovation, Design and Articulation, iiDEA 2018. This innovation has received media attention and appeared in local newspaper; Sin Chew Jit Poh dated 17th December 2017. Within the community, she showed her interest working passionately with special need children. She devoted her time as the President for Dyslexia Association in Penang State and also the Advisor for Special Need Students Association in Universiti Sains Malaysia. Dr. Matthew George is professor at Humphreys University and also serves as Superintendent/CEO of Humphreys University’s three charter schools spanning grades K-12. His knowledge and understanding of the challenges facing educational institutions is based on his 30 years in public education and his extensive knowledge and studies in Public School curriculum, law and operations. He has served in a variety of high level administrative positions in four major US school districts throughout his career prior to his present role as Superintendent and CEO of the Charter Schools. He sees school choice as the future of education making parents and students partners in the educational process. His greatest belief is that every child can succeed in school with the appropriate support and that every teacher has a right to expect and receive equal support in their efforts to meet the educational needs of the children in their care. Dr Sanjakdar is on the editorial board of two Q1 rating journals; ‘Curriculum Inquiry’ and ‘Diaspora, Indigenous and Minority Education’. Dr Fida Sanjakdar is Senior Lecturer in the Faculty of Education at Monash University. Her PhD Dissertation focussed on the intersections between Islamic religion, Islamic culture and sexuality education. For the last decade, she has researched the inner curriculum and pedagogical workings of Australian Islamic schools and collaborated with both national and international scholars on the intersections between critical sexuality education, religion and culture. She has published her research in top rating journals which span disciplinary fields such as sexuality, culture, religion, psychology, sociology, curriculum, youth studies and health. She is the author of ‘Living West, Facing East: The (de)construction of Muslim Youth Sexual Identities’ (2011, Peter Lang, NY) and more recently co-editor of ‘Critical Pedagogy, Sexuality Education and Young People’ (2018, Peter Lang, NY) with Professor Andrew Kam-Tuck Yip (University of Nottingham). She has been awarded the prestigious Discovery Project Grant from the Australian Research Council (ARC) investigating cultural and religious diversity in sexuality education along with Australian and New Zealand scholars. Dr Sanjakdar’s current research investigates effective pedagogies in the teaching of controversial and real-world ethical issues in both Australian Islamic schools and non-Islamic (government or public) school settings. The introduction of Australia’s first national curriculum has seen the incorporation of seven ‘general capabilities’ as essential markers of an improved quality education for all Australian children including ‘Ethical Understanding’. In her research, Dr Sanjakdar investigates how Primary, Secondary and Early Years teachers in these school settings are working with the new ‘Ethical Understanding’ capability component as well as how they are responding to the ambiguities that are inherent within the subject (i.e. challenges in teaching controversial topics such as terrorism, marriage equality, equal rights). 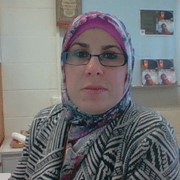 Dr. Fida is a member of the International Editorial Board for Q1 journals Curriculum Inquiry; Diaspora, Indigenous and Minority Education; Review of Education, Pedagogy and Cultural Studies and Race, Ethnicity and Education. 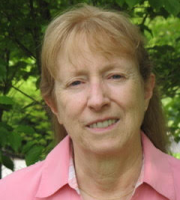 Jeanne Ellis Ormrod is Professor Emerita of Psychological Sciences at the University of Northern Colorado in the United States. She has published and presented extensively on cognition and memory, cognitive development, instruction, and related topics but is probably best known for several popular graduate and undergraduate textbooks: Human Learning, How We Think and Learn, Child Development and Education (co-authored with Teresa McDevitt); Practical Research (co-authored with the late Paul Leedy, now in its twelfth edition), Educational Psychology, and Essentials of Educational Psychology. Some of her books have been translated into Mandarin Chinese, Korean, Spanish, Turkish, Arabic, and/or Bahasa.